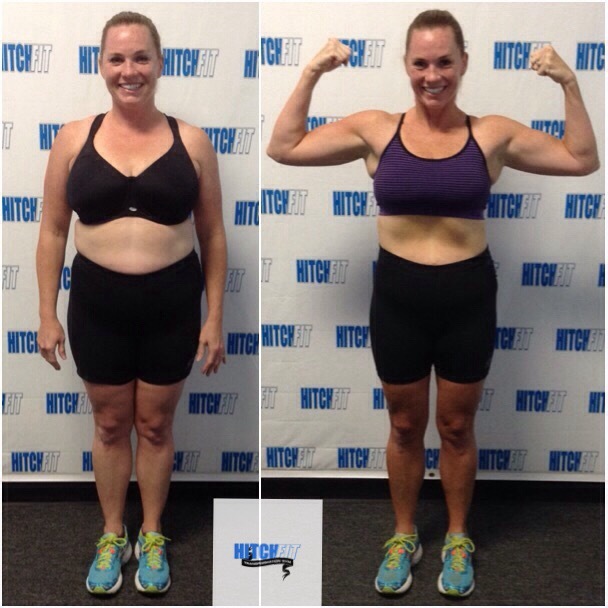 Transformation by Hitch Fit Gym Overland Park Personal Trainer (Transformer) Amy Gipson! Everyone meet Amy Glass! She is one, amazing mama who was 100% truly dedicated to a 16 week long transformation plan. 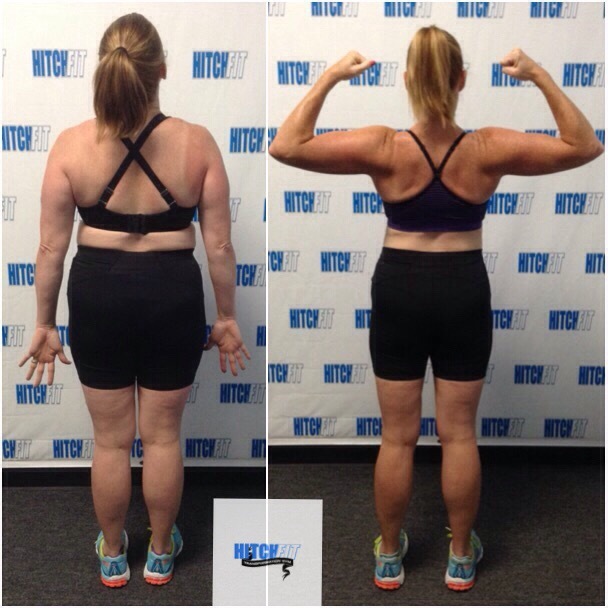 She did everything in her power to follow my nutrition plan for her, as well as her cardio and weight training plan. It sure wasn’t easy for her, as you will read below, but her ultimate goal of “being happy in the body she was in” was met! 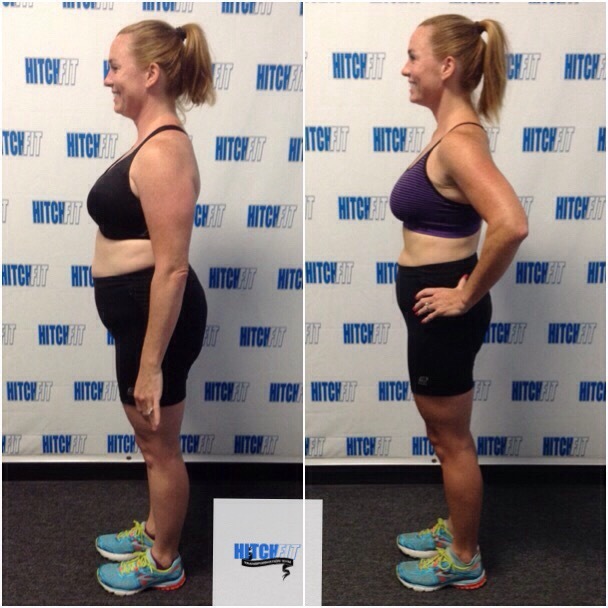 The end result is a strong woman…mind, body and soul, a 27 lb weight loss and a loss of 14% body fat. I am so proud of you Amy G. Way to make changes to your lifestyle and even when there were rough days, you stuck it out and did it!!!! YOU GO GIRL!! When I started this journey with Amy Gipson, I told her, “I just want to feel comfortable in my own skin again.” I think, as women, we are hard on ourselves. My expectation wasn’t to be the perfect size or the perfect weight. I just wanted to feel comfortable in my clothes. I have struggled with my weight since my teens. I have been up and down for years but I have always been really active. I hit my highest weight this last year after I completed my second and last marathon. The first marathon I did was 7 years ago and I was so happy with the weight I lost and thought if I ran another the same would happen. So I trained and decided to reduce my calories and food intake thinking I would lose weight, but that was not the case. My body was storing the fat and it did a major number on my metabolism. I was working out 5-6 days a week, eating healthy – but miserable. One of my dear friends mentioned she was seeing a trainer that focused on working out AND nutrition. She encouraged me to talk with Amy Gipson.The thing I remember Amy saying to me the first time I met her was, “not every diet will work for every individual. Everyone is different and if something isn’t working for you, we will change it up.” She was completely right. There were definitely days where I would go to the gym and then come home knowing I would still need to do more cardio and lift more weights. I could easily just not do it, but I was in this for the long haul. It really helped to break up the workout. I even stuck to my diet when I went to Chicago with friends. Everyone ordered Chicago style pizza (which took 40 minutes to make! That had to be worth the wait, right?) and I ordered grilled chicken with a side of steamed spinach and mushrooms. I knew that day that I had the willpower to give this 100%. 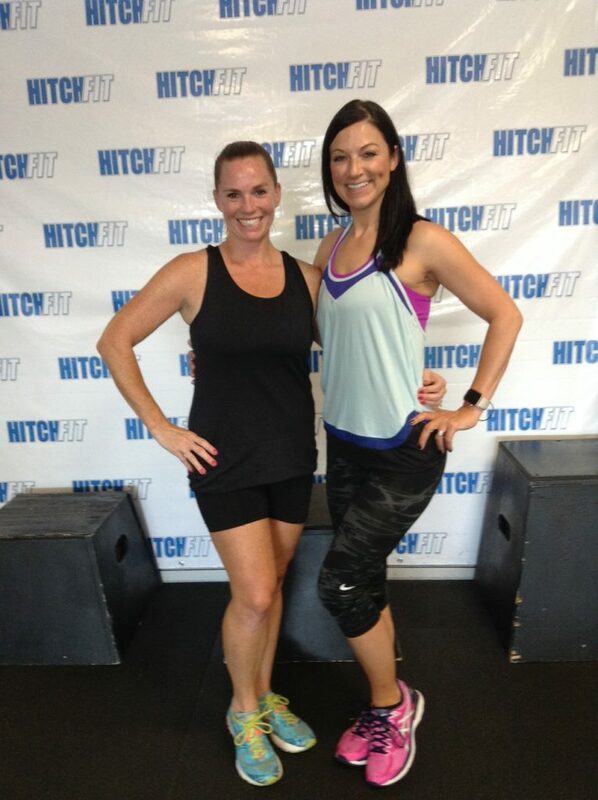 Are you READY for your TRANSFORMATION with Amy Gipson at the Overland Park Hitch Fit Gym?